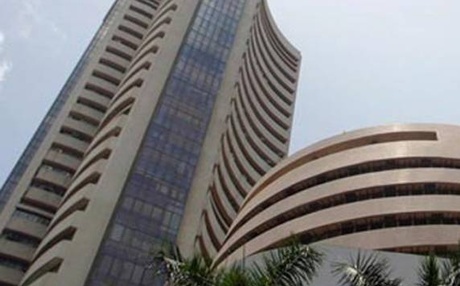 BSE Sensex was down by 2156 points at 2.40 PM IST pulled by ONGC, BPCL, Hindalco and Reliance. Asian Markets closed positive, but most of Indian stocks suffered in today's session. With only 30 minutes left for the trading session, the markets are expected to close lower today. Reliance Industries and ITC were down by 2%. BHEL, Tata Steel, Hindalco and ONGC were down pulling the indices lower. Among major gainers in today's trade were Jindal Steel, Larsen, HCL Tech and Infosys Technologies. Tech Mahindra continued the positive movement. The stock touched 52-week high of Rs 1262 and was currently trading at Rs 1250. As most of the market experts expected, the RBI kept all the rates unchanged. RBI is under pressure to contain the slide of Indian currency compared to USD and Euro. Indian currency lost nearly 1.37% compared to USD and was trading at 60.23. Euro touched 52-week high against Indian currency. EURO-INR was trading at 79.88.